CHARLOTTE, N.C. — Police took a man in custody after he led officers on a high speed chase through Charlotte. The chase lasted nearly an hour and went from east Charlotte to SouthPark and many neighborhoods in between. The driver has been identified as 58-year-old Willie Davis. Police say around 11am members from the Real Time Crime Center received a hit on a stolen black 2012 Nissan Versa. The Aviation Unit was notified and responded to the area and located the stolen vehicle. 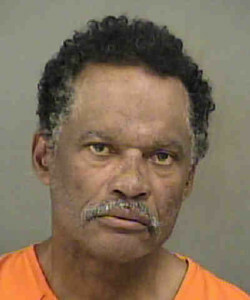 At one point in east Charlotte, an officer approached the stolen vehicle while Davis was stopped at a red light. The officer had his gun drawn and attempted to open the door of the stolen vehicle but Davis drove off. Davis eventually got out of the car on Monroe Road near Briar Creek and tried to run from officers but was taken into custody. He is charged with Possession of Stolen Motor Vehicle, two counts of Hit and Run, two counts of Felony Flee to Elude, DWLR, Resisting Arrest, Speeding, Reckless Driving and Stop Sign Violations.